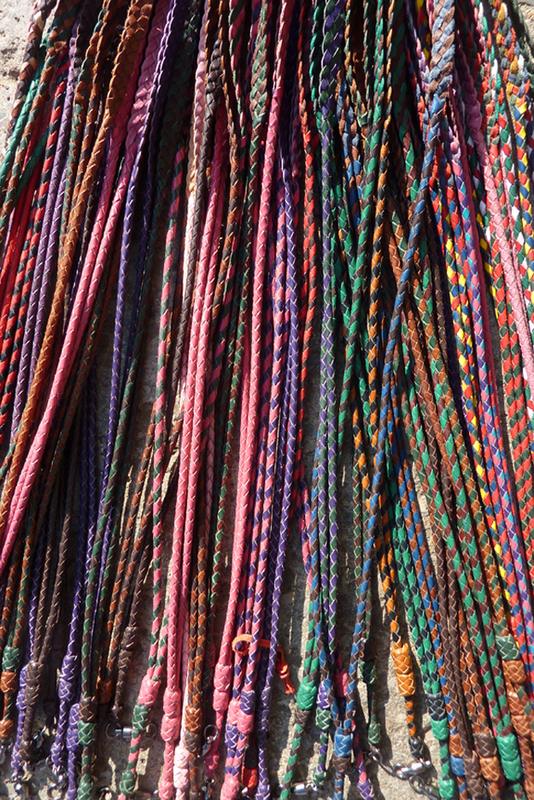 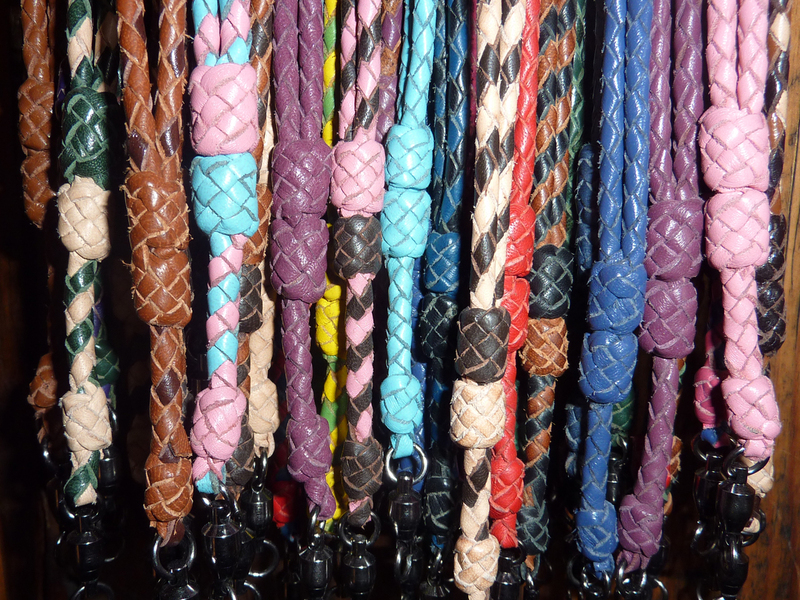 Beautiful hand-braided kangaroo leather lanyards for your whistle, or anything else you wish to hang round your neck. 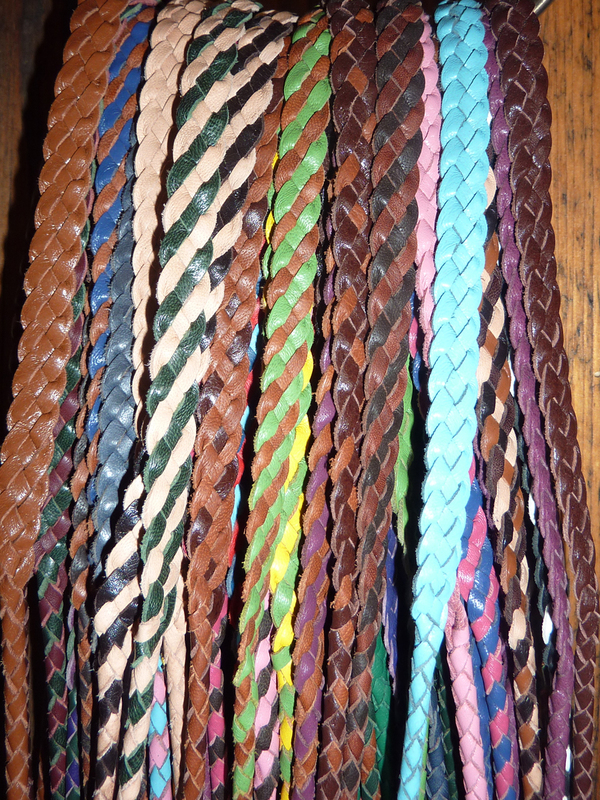 Hand-made in North Wales, U.K. 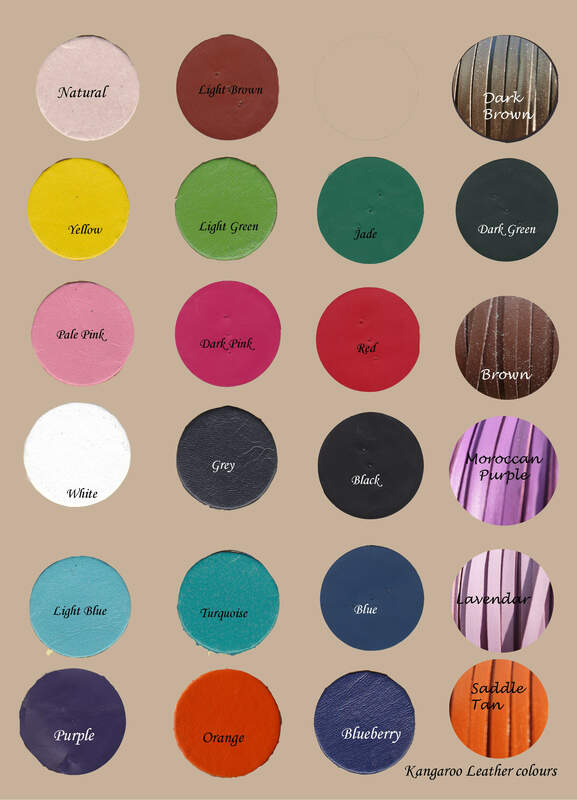 Dark Brown, Brown, Light Brown, Saddle Tan, Black, Grey, White, Natural, Dark Pink, Pale Pink, Maroon, Purple, Morrocan Purple, Lavendar, Red, Orange, Yellow, Dark Green, Jade, Pale Green, Navy, Royal Blue, Turquoise, and Pale Blue. 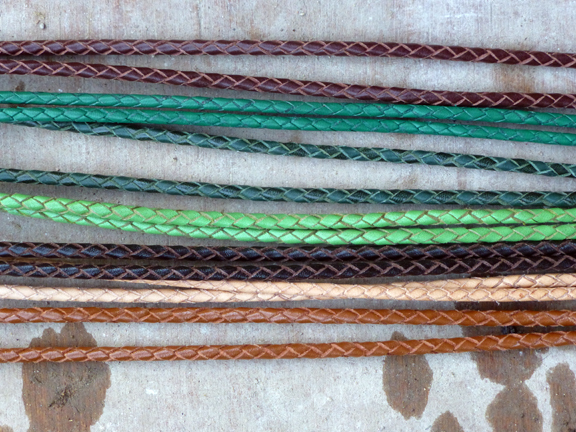 There are some photos below showing some examples of different colours but please telephone me on 01352716099/07748207099 or e.mail me at lagopus@btinternet.com if you would like to discuss your requirements. 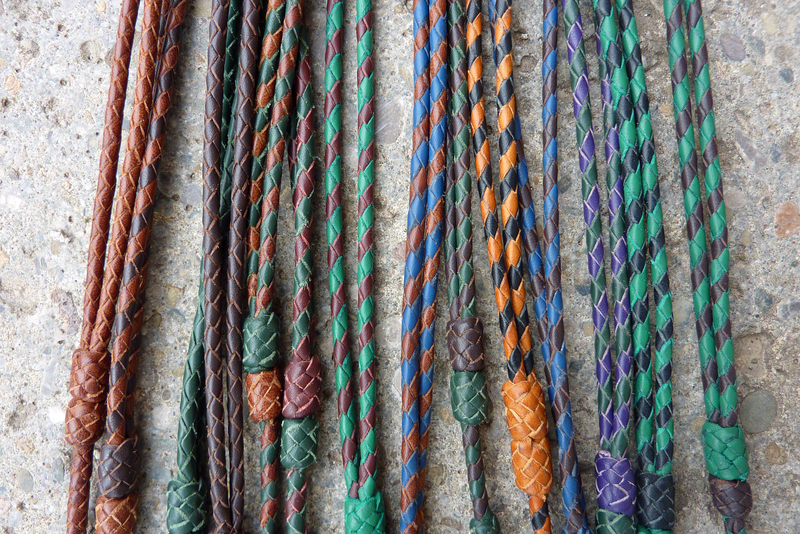 The standard length is approximately 19" when folded in half and they have a comfortable flat piece at the back of the neck. 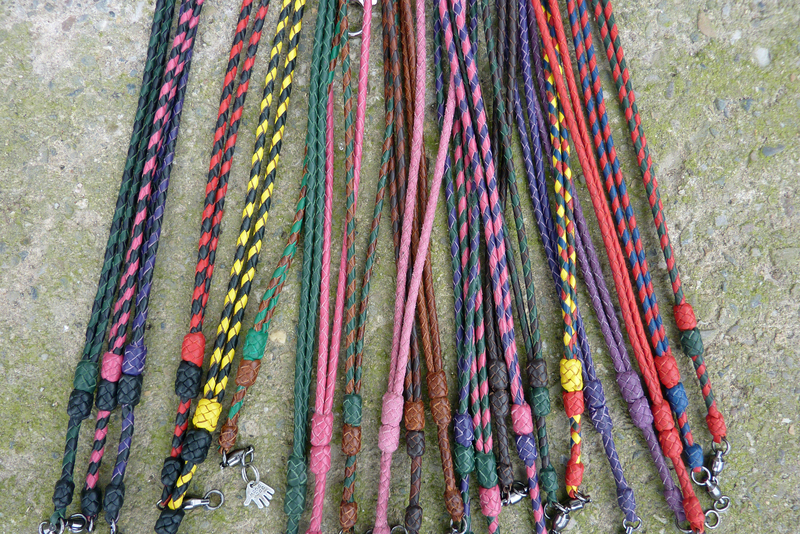 The price of a 4-strand lanyard is £17.50 including postage and £20.50 including postage for a 6-strand lanyard.